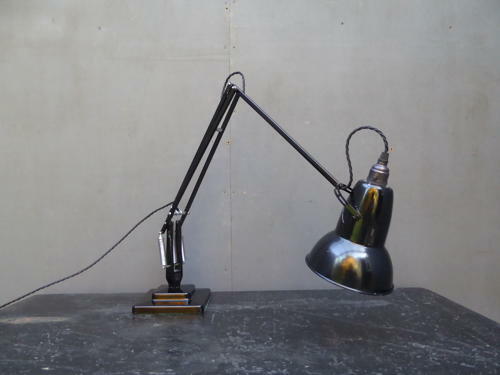 A beautiful vintage black Anglepoise 1227 desk lamp by Herbert Terry & Sons. An iconic design classic featuring 'two-step' base, original gloss black paintwork with contrasting chrome fittings & tulip shade. Rewired in twisted black flex. Wear commensurate with age as pictured, nice & glossy with some expected minor wear to the finish on the base & a few scratches to the rear of the shade.